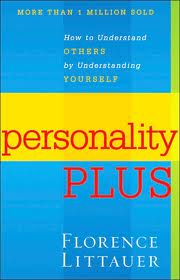 Looking for some good books to help you grow and overcome? We made a list of some of our favorite recommendations. Hope you enjoy them as much as we have! 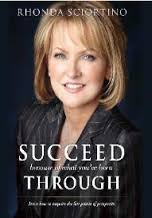 "Succeed Because of What You’ve Been Through will help you see yourself in a way that you may never have before – as a skilled, talented, educated adult able to handle circumstances that would knock most people down and maybe out. Whatever adversity you’ve experienced is what qualifies you to fulfill your specific purpose." "Children suffering from abuse. Neglect. Malnutrition. Even drug-related problems passed on from a mother's addiction. Children rejected by those who were to love them most, their parents. When placed into a foster home, many of these children carry with them the physical and emotional scars that prevent them from accepting the love of another. 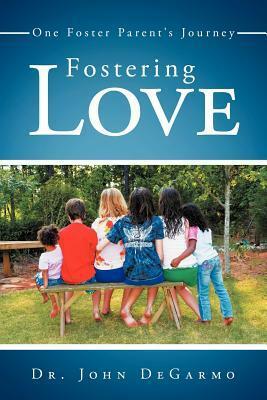 This journey as a foster parent is the most difficult thing John DeGarmo has done. Through the sleepless nights with drug-addicted babies, the battles with angry teens, and the tears from such tremendous sadness, John DeGarmo learns that to follow God's call in his life means to take up His cross in his own home. 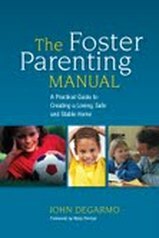 Fostering Love: One Foster Parent's Journey is the true-life account of his experience as a foster parent, along with his wife and their own three children, as he followed God's call to take foster children into his home. This is a story of heartbreak, sadness, and ultimately love as he came to find God in the tears and smiles of many foster children." "Falling in love is easy, but maintaining healthy relationships is a lifelong pursuit. Once you understand “love languages,” you’ll be able to nurture not only a romantic relationship, but also casual, business, and familial relationships effectually. With more 8 million copies sold, Dr. Gary Chapman’s The 5 Love Languages will help you succeed in having joyful, enduring relationships." "Worry, doubt, confusion, depression, anger and feelings of condemnation: all these are attacks on the mind. If readers suffer from negative thoughts, they can take heart! 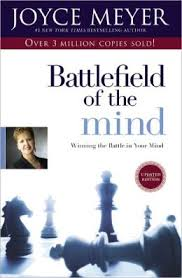 Joyce Meyer has helped millions win these all-important battles. In her most popular bestseller ever, the beloved author and minister shows readers how to change their lives by changing their minds. She teaches how to deal with thousands of thoughts that people think every day and how to focus the mind the way God thinks. And she shares the trials, tragedies, and ultimate victories from her own marriage, family, and ministry that led her to wondrous, life-transforming truth--and reveals her thoughts and feelings every step of the way." "Some battles we choose, others choose us. The world is looking and waiting for a company of women who will rise in the midst of hard times. It would be so much easier to sit...to give in. And, yet, isn't there a part inside us that longs to stand up and fight the battles before us? 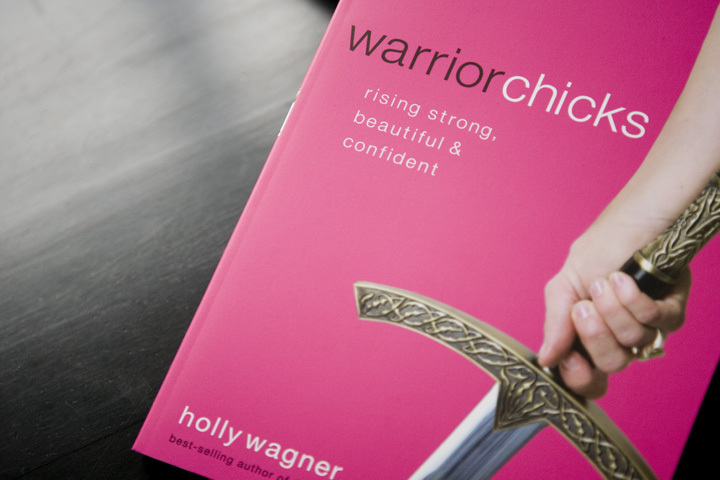 The subject of this exciting book is the "Warrior Chick" who realizes she is destined to be an overcomer as she faces challenges, is encouraged as she realizes she is beautiful just the way she is, and is relieved as she learns how to equip herself to fight the fight. As Holly well knows from her experience as a warrior chick battling breast cancer, we aren't living in peacetime and we can choose to be either a casualty or a warrior. What's it going to be?" "You know your Goliath. You recognize his walk, the thunder of his voice. 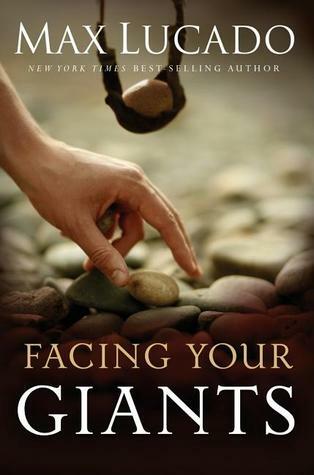 If you're ready to face your giants, let his story inspire you. The same God who helped him will help you."